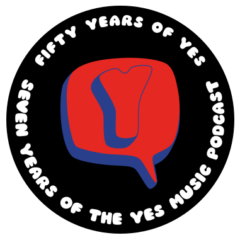 The fifty-seventh episode of the Yes Music Podcast featuring some Quite Interesting things from the book, ‘Perpetual Change’ by David Watkinson. Listen and see if all you think this is all as interesting as I do. Then let me know by contacting me via any of the different routes on the right hand side or by leaving a comment below! What are the most interesting aspects of the Yes Family Tree? What marketing techniques have been used over the years? Well as I like to say Short and to the point! I believe that the Yes Tree will forever be a growing one indeed. I will always remember the very first time I had a chance to hear Yes.I think I was 11 years old and I believe it was “Yours Is No Disgrace” I was blown away and completely hooked as a Yes fan for life.I believe my oldest son has this book and now I must get my mitts on this.I was blessed to have seen Yes in the round and that was way before any other band had taken this on.It was well worth the price of admission just a very very special show.This is where a “Tardis” would really come in handy to go back and be able to see and listen or for that matter just to be a fly on the wall of the studio when I believe that Yes was in there prime.I would perfer to be in there when Close to the edge was being worked on this album will always be my theme music for my life it reprsents my life and the times just breath taking for sure. Please don’t get me wrong there are way more tracks that are deeply etched into my heart mind and soul. The comment I made in the begging refers to a statement that was given to me years ago when you want someones attention when you are writing or talking make it like a woman’s skirt …Short and to the Point! Thanks for the comment. Yes, it’s a great book with lots of fascinating information – a lot of it not available elsewhere. I had a great time with my family. Great job. You’re teaching me to become a YES fan! Compliments to the well laid out web site and terrific audio quality. Your podcast reminds me of a ‘musicology’ show I listened to as a younger man and brings back some of the joy of diving deep into music…something for which I have no talent but great appreciation. I voted for you on the EPA site. Thanks for the very kind comments, Tommy. It’s great to know you are being turned on to the greatest progressive rock band in the world! THat’s very much the point of the podcast! I’m glad you like the website and the audio quality – I’m never satisfied with either, of course, but thanks for letting me know it’s OK for you!